The fourth in the series of marble topped consoles. This one is cherry with black over green milk paint details and an amboyna burl medallion. 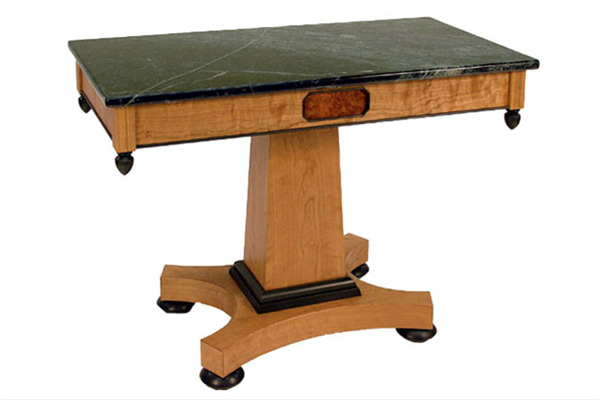 Spectacular black and green Verde Antique Vermont marble. Available in custom sizes and marble types.